SIMPLETEC Track Press TP-200 is designed for assembly/ disassembly of small, medium and medium-large sizes of Track Chains. The maximum pressing force of each ram is 1961 Kn (200 T). 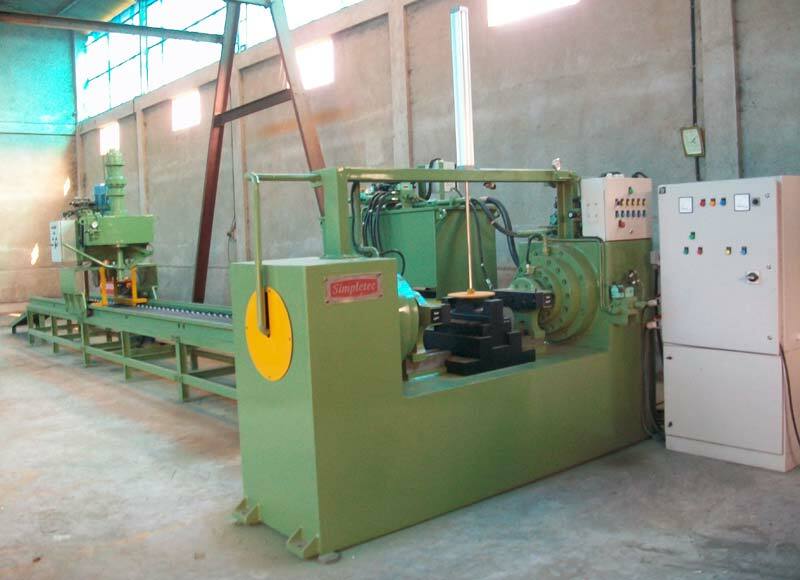 The machine is suitable for manufacturing new chains and for rebuilding/ re-conditioning. The operation of the machine is simple and safe. A single hand lever controls forward and return strokes of the rams. Machine can be supplied with Track Winder, Hydraulic Torque Wrench, Roller & Idler welding Machine, etc.